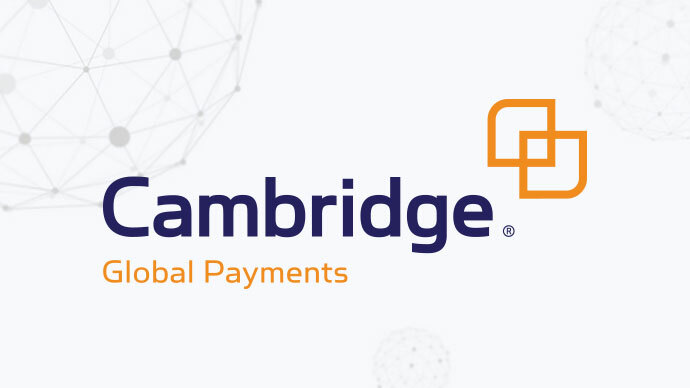 We are delighted to announce that Cambridge Global Payments will be joining the World Mail & Express Americas Conference (WMX Americas) 2019 as a Support Sponsor. Cambridge Global Payments, a FLEETCOR company, is a leading provider of integrated cross-border payment services and risk management solutions. As a trusted partner for 25 years, Cambridge delivers innovative solutions designed to mitigate foreign exchange exposure and address unique business needs. Their award-winning capabilities and industry-leading technologies simplify the way businesses connect with the global marketplace. As one of the largest bank-independent providers globally, they are flexible and responsive, with offices across North America, Europe, and Australia.